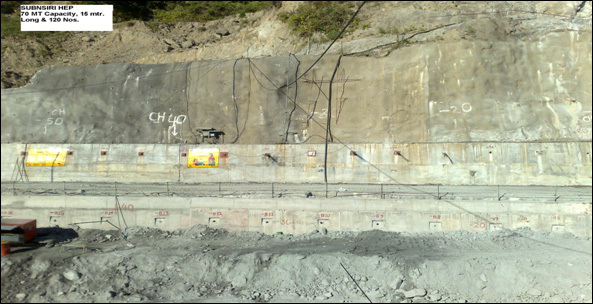 Challenge: The slopes of the hills adjoining the diversion tunnels had to be stabilized. 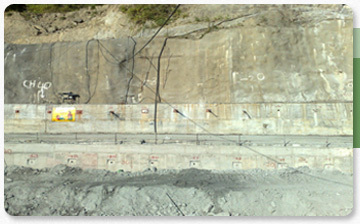 Solution: Freyssinet rock anchors with a capacity of 60 tonne were used. The anchors were inclined 15o to the horizontal and embedded 12 meter deep in the sandstone strata. Freyssinet 7K13 tendons were used fro anchoring.